The Britax Frontier ClickTight is a high-end booster seat that has a better than the average crash test score. This product is easy to use and has a 5-point harness that works for children up to 90 lbs (65 lbs for Canada). We like the simple installation process, and the headrest/shoulder harness assembly works well and is easy to adjust. Unfortunately, this seat is heavy and large making it hard to move from car to car and a poor choice for traveling. However, it is the highest scoring seat with a 5-point harness, and we like the idea of keeping kids in a 5-point harness for an extended period of time as it has been shown to be safer for children than a vehicle belt. This feature makes the Frontier a Top Pick for 5-point harness and a good option for families looking to keep little ones in a harness for longer. The Britax Frontier can be used with the vehicle belt or with the 5-point harness depending on the weight of your child. In 1996, Britax launched in America after years of success in Europe as the best-selling car seat manufacturer. Britax has been making children's products for over 70 years. They believe families should live life without limits. They work to create gear with innovative designs that have safety in mind. Britax works in conjunction with a variety of car manufacturers, governments, and child passenger safety experts to test and create new products for families. The following graph is a comparison of the overall scores for the booster tested in this review including the Britax (blue). The Britax is the top scoring booster with a 5-point harness which is part of why it was given the Top Pick for 5-point harness. For reasons we aren't entirely sure of, the harness mode of this booster has different weight limitations for Canada than it lists in the manual for the United States. The United States manual shows the 5-point harness as appropriate for children up to 90 lbs, while the Canadian manual states the 5-point harness should only be used for children up to 65 lbs. As always, you should defer to the products user manual when determining how to use any product. The Britax has EPP foam including in the headrest area for additional protection in the event of a crash. EPP foam doesn't off-gas which is a bonus in our book. 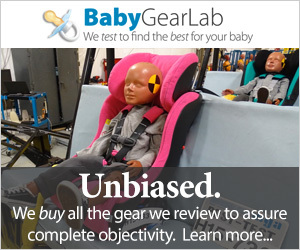 The Britax earned a 7 of 10 for crash test results. This score is above the average for the group and indicates an additional margin of protection over the lower scoring seats we tested. This graph is a comparison of the Britax (black) to the Evenflow Spectrum (green) which earned the best test results for the head sensor. The Britax head sensor data recorded 482 where the maximum allowed is 1000 (lower is better). The high in the group is closer to 760 and the best result is a 456 earned by the Evenflo Spectrum. This graph is a comparison of the Britax (black) to the Peg Perego Viaggio Flex (green) which earned the best test results for the chest sensor. The Britax didn't perform as well for the head sensor (HIC); with a test result of 48, it is the highest result in the group (lower is better). The maximum allowed result is 60, so it is below the maximum and therefore considered safe, but it is higher than the Peg Perego Viaggio Flex that has an impressive 39 HIC in our crash tests. The Britax booster is easy for children to buckle themselves in. The Britax earned a 7 of 10 for ease of use. This score is one point below the high for the group. This score indicates that in general, it is easy to use compared to the competition. Several Amazon reviewers have indicated a potential design flaw in the Frontier 5-point harness. The harness can be extremely hard to tighten when the booster is installed. After an investigation, we feel this is a result of the harness straps that run up the back of the booster and press against the vehicle seat. Depending on the shape of the vehicle seat the pressure on the harness can make it difficult or impossible to move. For this reason, we recommend purchasing the Frontier from a vendor that makes returns easy (like Amazon), so you can replace it with a different model should your vehicle seat be incompatible. This booster can be installed using the LATCH anchors (above left) or the ClickTight method (above right) using the vehicle belt. Both ways are easy enough, and the LATCH anchors are usable in booster mode without the 5-point harness. The headrest (above left) moves up and down smoothly without trouble, and the shoulder strap height for the 5-point harness will move along with it if it is on the seat. The shoulder belt retainer (above right) is on the headrest assembly, so it moves with the headrest when you are not using the 5-point harness. Aligning the vehicle belt for proper fitting is easy (above left), and the retainers work well at keeping the strap secure. The 5-point harness (above right) is also easy to use. The Britax has two cup holders that are easy to reach. They do not hold larger items, but they are useful for smaller water bottles and cups. The Britax has a recline feature with a pull lever under the front seat, and you may need to hold the base down to finish the adjustment. It also has dual cup holders on the seat bottom that are easy to access if a bit challenging to clean. The Frontier is one of the heaviest and largest options in this review. The Frontier earned a 3 of 10 for weight and size. This Britax weighs 23.7 lbs which is the heaviest booster we tested. The width is 19 inches making it the third widest seat. The weight and size make this product a poor choice for travel or regular movement from car to car. If you plan to leave the seat in your car, then it may not be an issue. Otherwise, it is not a good choice for carpoolers or frequent carrying. Testers felt the Frontier wasn't as comfortable as the competition with a hard headrest and unfriendly fabric. The Frontier earned a 4 of 10 for comfort according to our child testers who felt it the bottom cushion was soft, but the headrest was too hard, and the fabric was uncomfortable. Given the added layers of foam, we thought the seat would be comfy, but our testers disagreed when compared to the competition. We agree that the headrest is hard and we also think the design seems to offer less support for napping heads. The Britax earned the top score for quality with high-end parts and durable construction. The Britax earned a 9 of 10 for quality, making it the top scorer for quality in this review. The cushion on this product is firm and thick, and it includes the higher quality EPP foam that doesn't off-gas. It has a sturdy closed shell even if the side flex easier than we thought they would. The fabric is sturdy and feels durable, if a bit rough, and it wipes clean. The overall fit and finish are nice, but the fabric isn't a tight as the rest of the product. Britax offers four different booster seat options including the Frontier. We think the option below might be a nice alternative to the Frontier, but we have not tested it. Britax Pinnacle ClickTight — This upgraded Britax booster sports the same ClickTight installation method and a 5-point harness like the Frontier. But it offers 3 layers of side impact protection, additional comfort padding, and multiple recline positions. This booster can be used with the 5-point harness for children up to 90 lbs and it has a different harness assembly that could mitigate the issues parents report with the Frontier harness. Britax Vehicle Seat Protector — This rubber mat will help protect your vehicle seat from spills and gunk, and it can help prevent damage to the seat or permanent indents often caused by the bottom of car seats and boosters being tightly secured to the vehicle for extended periods of time. Amazon $279.99 - 18% off!